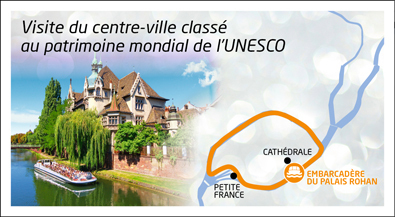 La Grande Ile: this is where Strasbourg's heart beats. Its lacy sandstone cathedral is the epicentre. All around are interweaving alleyways with their half-timbered houses, small shady squares and the gentle Alsatian way of life. And the highlight of your cruise is the passage through 2 locks.